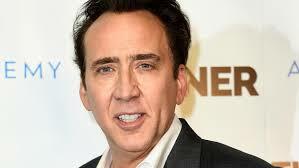 NEW YORK — Actor Nicolas Cage has filed for an annulment just four days after marrying his girlfriend in Las Vegas. Cage and makeup artist Erika Koike received their marriage license on Saturday. However, the 55-year-old actor submitted an application for annulment on Thursday. It is unclear how long the two have been dating. Cage has been married three other times, first to actress Patricia Arquette from 1995 to 2001. He was also married to Lisa Marie Presley from 2002 to 2004, and Alice Kim from 2004 to 2016. Cage and Kim have a 13-year-old son, Kal-El. Cage also has a 28-year-old son, Weston, with his ex-girlfriend Christina Fulton.